This one I watched on Starz On-Demand. It is one I enjoyed quite a bit. I did find the beginning a little slow but that is to be expected with this story line. And it really does work for it. 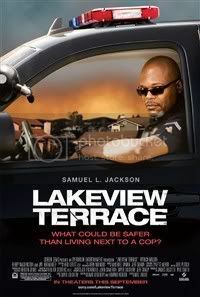 Samuel L. Jackson done a great job as always. I am definitely planning on adding this one to my collection. Bolt tells the story a dog who plays a heroic dog in a hit TV show and has some trouble recognizing that he doesn't even have superpowers. This becomes something of a hindrance when he is accidentally shipped from Hollywood to New York City. From there he has to make his way home with the help of a manky old cat and an overweight hamster in a plastic ball. I decided to watch this one with my daughter, Brittany today. We both enjoyed this one. It is very cute... and a fun storyline. Another one that I definitely plan on adding to my collection. I'm glad you enjoyed the movies. The highly acclaimed director of Finding Nemo and the creative storytellers behind Cars and Ratatouille transport you to a galaxy not so far away for a new cosmic comedy adventure about a determined robot named WALL-E.
After hundreds of lonely years of doing what he was built for, the curious and lovable WALL-E discovers a new purpose in life when he meets a sleek search robot named EVE. Join them and a hilarious cast of characters on a fantastic journey across the universe. Transport yourself to a fascinating new world with Disney-Pixar's latest adventure, now even more astonishing on DVD and loaded with bonus features, including the exclusive animated short film BURN-E. WALL-E is a film your family will want to enjoy over and over again. When I decided to watch this one today I asked Britt if she wanted to watch it with me. So I got to watch another one with my daughter this weekend. We both enjoyed it. sure... it starts out a bit slow and gloomy. But the story does draw you in. And before you know it you are glued to your seat. The animation on this movie is just plain awesome. I never seen an animated movie look so good. I definitely see myself eventually getting this movie. Only 4 stars for Wall-E? The same as Bolt? Yup... I can honestly say I enjoyed both about the same amount. Bolt does look like a lot of fun, but I doubt I'll feel like I've watched milestone in animation when I do see it. WALL-E was one of the best films of last year, animated or not. I agree it had the best animation I probably ever seen. But the story... to me at least... nothing spectacular. Definitely good... but great? no... not to me anyway. Just because he likes musicals, Pete! Ruined the whole movie for me! Exploitation movie for all the commercial crap for kids to pester their parents to buy, with a blatant political/environmental message.